Secluded private dining room where we host private dinners for up to 36 guests. Customized menu's to accommodate large groups are created by the Chef with guest input. 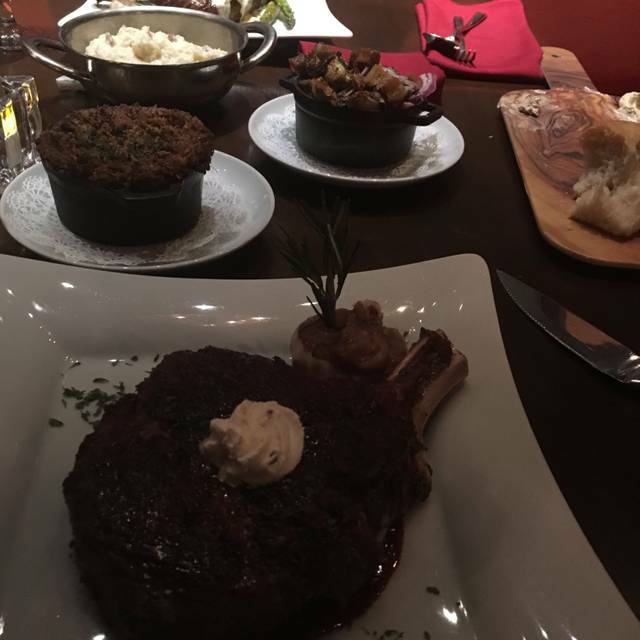 Specializing in prime steaks and seafood, Fire Steakhouse's prime cuisine and premier service come together into what is now recognized as Alabama's best Steakhouse. 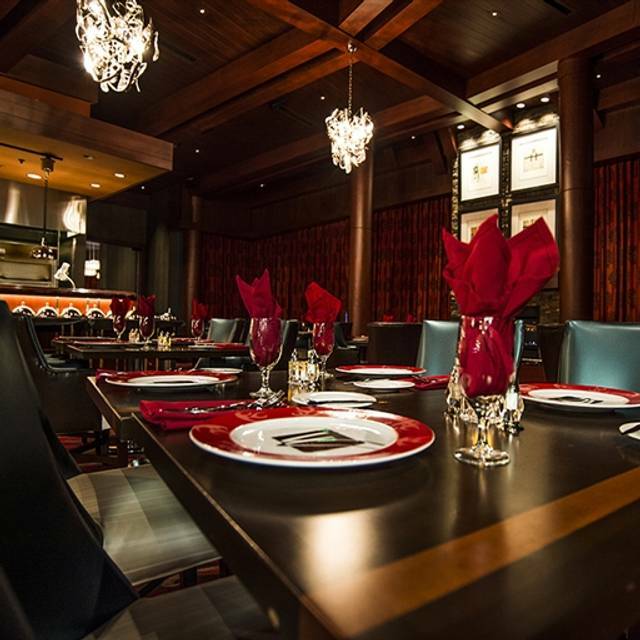 Experience the seamless service, choice cuts and culinary mastery of Fire for an unforgettable dining experience. 5 Stars! Wow! Thank you so much! We're happy to hear your wife had a great birthday. Please come again. Over all great dinner for my daughter's birthday. Thank you and all your staff members. That's great news Jason! Thanks for the great review. Great place to go for excellent food this is the place to go. I recommend the twin fillet with creamed spinach, OMG. 5 Stars! Wow! Thank you so much! Please come again. Our meal and service was amazing! We look forward to coming every year! We went on a concert night, and they had a limited menu. We were disappointed by this since we booked based off the normal menu items. The concert menu was HUGELY limited. On the plus side, the manager did accommodate us by making a sauce that we requested after we communicated our disappointment. And our server was very friendly and patient. Overall, I would probably go again because the food in this area is so limited, but it certainly isn’t one of the best places I’ve been. Average food and above average service does shake out to make it a decent experience overall. Thanks for 5 Stars. We appreciate your business. We would love to have you back again. The portions were extremely small for the price. Two scallops is not an appetizer, especially for the price. We celebrated our 40 th anniversary at Fire. This was our first visit to the restaurant. The food was excellent. Our server was very attentive during our meal. Dining at Fire was a great place to celebrate our special day. Happy 40th Anniversary!!! Thanks for spending it with us! The restaurant is beautiful. We enjoyed the food. The Prime Rib was outstanding. Very tender and finished off on the grille. The Brussel sprouts were excellent. I have already been looking for the recipe. The only item that keeps this review from being 5 stars was the Shrimp. They were not as fresh as they should've been. Thanks for 4 Stars! ⭐⭐⭐⭐We appreciate your business. We would love to have you back again. I apologize for your guest experience as you describe. I hope you choose to be a return customer. The food is always amazing. Service is great and everyone is very friendly and welcoming. Thanks for the awesome review, TeriD! We really appreciate it. Please come again soon! The wedge salad, filet, and dessert were all very good. Overall, the food was pleasing. Just being honest...the atmosphere is very cheesy, but that’s kind of what you get when you eat inside of a casino. If I were staying on site, definitely suggest eating there. But if you’re thinking about making a special trip to eat there, I would advise against it. Food was excellent, had the salmon with grilled shrimp. Would highly recommend. Although restaurant was busy, still able to carry on a conversation with my partner. 4 Stars! Wow! Thank you so much! Please come again. The food we had on a Thursday night was amazing. The steaks were so tender we could cut them with a fork! The entire meal was great! We will be back! Fine dining at its best!! We celebrated our wedding anniversary and were treated like royalty. Our waitress even gave us a hand written anniversary card and the dinner was topped off with a red rose for me! We’ll definitely make regular dinner reservations! Brittany was the absolute best waitress. She never stopped, explained the menu perfectly. Good job Brittany. Brittany is great! Thanks for the awesome review and please come again! The food was ok but for $32 for a steak with no sides and really was mediocre was a bit of a disappointment. Literally had better at logans. The staff was really nice and on top of taking care of us though. And the wine at $9 a glass for a $12 bottle seems a bit ridiculous also. This was my 2nd visit and the experience was much better. Our server. Mitch. 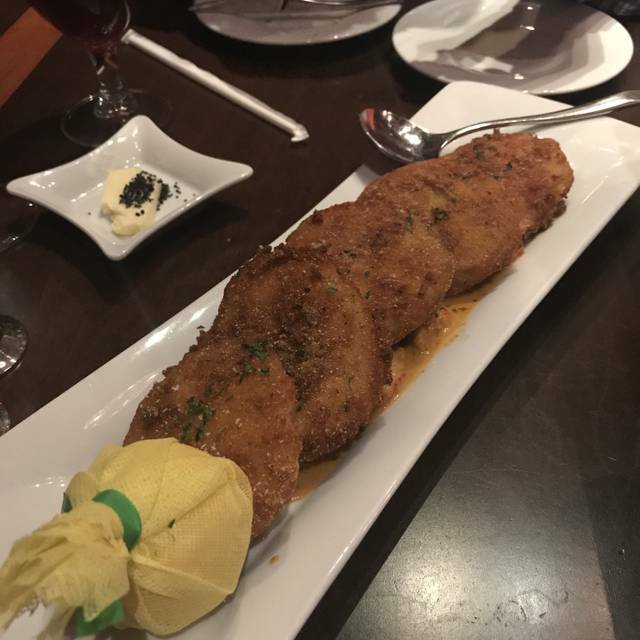 and the back waiter were absolutely fantastic, we never once had to look for them for anything, The food was beyond words and my son was so impressed with his sword fish that he asked to see the chef. Thanks for the repeat visit, Samanthae. We're glad you and your family enjoyed the experience. Please come again soon. Always have a wonderful dinner at The Fire. They always come through. We went for our anniversary and everything was wonderful. The food was delicious and the service was on point. The price can be a little steep but it’s worth it for a special occasion. The servers were nice, but the food was just meh! I don’t mind paying the extravagant prices if the food is worth it (i.e. 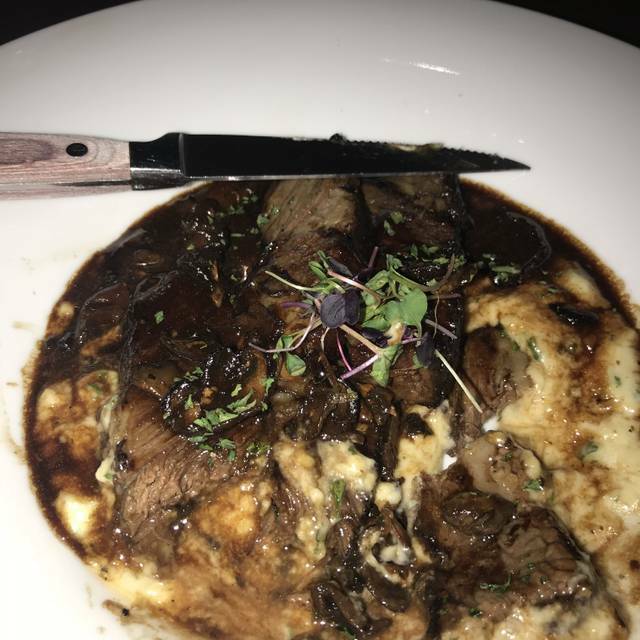 Ruth’s Chris quality), but this food just isn’t of the same caliber. Also, the speed of service is rather slow as well, especially considering the place wasn’t packed. Thank you for your comments. We appreciate your business. We would love to have you back again. We will continue to review and conduct ongoing training to improve employee performance and guest service. We apologize for your guest experience as you describe. We hope you choose to be a return customer. Tonya and Austin took care of us with perfect service for our 44th Anniversary-suggested Berries Jubilee for dessert and it was also delicious as well as entertaining having it made table side. Thoroughly enjoyed the food and service; however, the music was up a little loud causing guests to speak over the music. Since the tables for two are relatively close together my wife and I didn't speak much as we didn't want to have to yell and have others hear our conversations. Thanks for 5 Stars, Timothy! We apologize for any inconvenience you experienced. We hope to see you again soon. Food was superb. Victoria, our Server, and Austin did an outstanding job of serving us during our meal. Would definitely recommend the Fire Steakhouse to others for dinner. Victoria and Austin are great. Thanks for the kind words. We'd love to have you anytime! We didn’t know what to expect as it was our first time there but we were pleasantly surprised at the friendly and professional service we received from start to finish. The waitress was very knowledgeable and courteous. 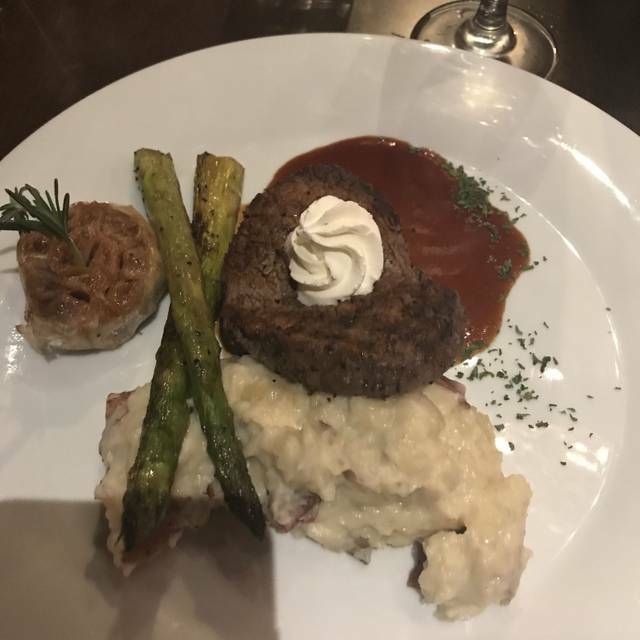 The food, which we had the twin filet was excellent and exceeded all our expectations. I would highly recommend Fire to anyone. Thanks for the kind words, LeonH! We're happy you were pleased with the visit. Please come again soon. Happy Birthday to your wife and thank you for your patronage. We sincerely apologize that we miss that. We hope that she still enjoyed her special day with us. We would love for you both to join us again. This would make twice my husband and I have dined at Fire. We absolutely love it!! 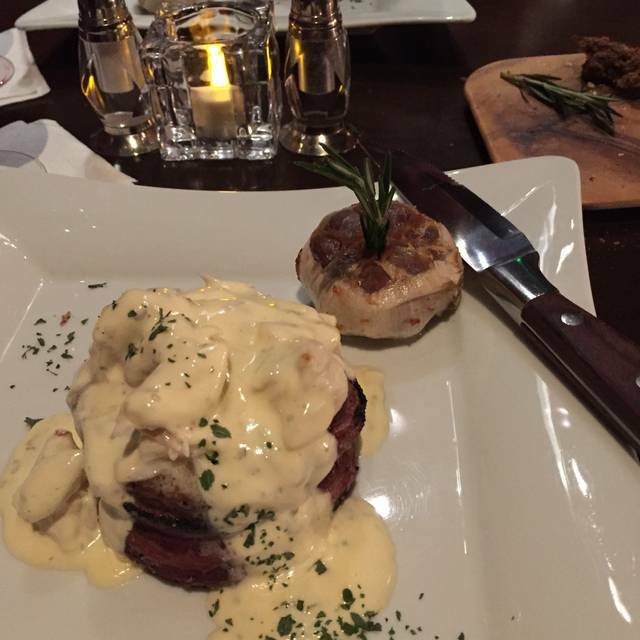 From the atmosphere,professional service and the delicious food you can't beat it. They always have little special goodies in between your courses. For the ladies , the rose at the end of dinner just wraps up one wonderful dining experience. Thanks for the kind words, JessicaG! We're glad you and your husband enjoyed the visit. Please come again soon! From the moment we set foot in the restaurant, we could tell it was going to be a great night. The bartender was well versed in alcohol selections. The wait staff was very courteous and attentive. We enjoyed a delicious wedge salad and lobster bisque for an appetizer. The small scoop of sherbet and champagne was a classy touch between servings. The chateaubriand was cooked to perfection. We ended the evening with a chorus of cream brûlée’s. That's awesome news, JeffreyW. We're glad your visit was a successful one. We would love to have you back anytime! Our Valentine's Day dinner at Fire was memorable. The food was delicious and our server was exceptional. That's awesome news! We're glad you spent Valentine's Day with us! Please come again. We had reservations took 15mins for someone to recognize we were there. Then said we had a wait (this was the manager) then proceeded to clean menus (about 10 of them) while we stood there. Then when he was done he said ok I can sit you at the bar. 30 mins later we finally get seated took another 15 mins for somone to come acknowledge us. Drinks weren't refilled food took forever & overall wasn't worth the cost for the service expierience we had! It was so bad during waiting over 40 mins for our food my husband had to go tell the manager if he could please find someone to come fill our waters back up! Also they were not busy. maybe about 15 tables if that! First time to Fire, and will be back. The restaurant was very nice and our food was excellent. The steaks, the bread, the mushrooms, potatoes...everything was delicious. And the service and presentation were first class. The extras (cucumber & tuna dip)(sorbet/champagne palate cleanser)(ice cream bon bons) were a pleasant surprise. Thanks to your staff for a very nice evening. Thanks for the kind words, KeithJ! We hope to see you again soon! We'd love to have you back anytime! The best dining experience I’ve ever had. Everything was perfect from the time I walked into the door. The food was excellent and well worth the price. The waitress and staff was very professional. I would highly recommend this steak house. I has heard a lot of advertising for fire steak house and now I cam see why. Thanks for the kind words, Sandra! Please come again anytime! We had an awesome dinner !!! Love the atmosphere!! We loved the little extra touches like the twice baked potato bites from the chefs!! Champagne and lemon sorbet was awesome!! Plus a Ross at the end of our meal !! We will definitely be back !!! Thanks for the kind words, Kim33! The long-stemmed rose is a perfect touch! First time visiting Fire Steak House. My husband and I had an awesome dinner. Our waiter Mitchell was excellent, he made our anniversary special. Steak, covered with a strong sauce masking almost all flavor of meat. Brusel sprouts again in a salty ix that disquised the main ingredient. Baked potato was good. We have eaten there several times for special occasions but I really think this will be the last. $175 for 2 steaks, 2 potatoes, 2 brussels 1 wine and 1 coffee is a little much. The food and the service were really great! For the price of the food I expect a little better ambiance and possibly a minor dress code as we were sitting in a room of people in sweats and camo hats eating a $200 meal. Should be a little more upscale. Thanks for the review, LeahS. We will let management know about the suggestion. We hope you'll come again soon. Thanks Tammy! We would love to have you back anytime!